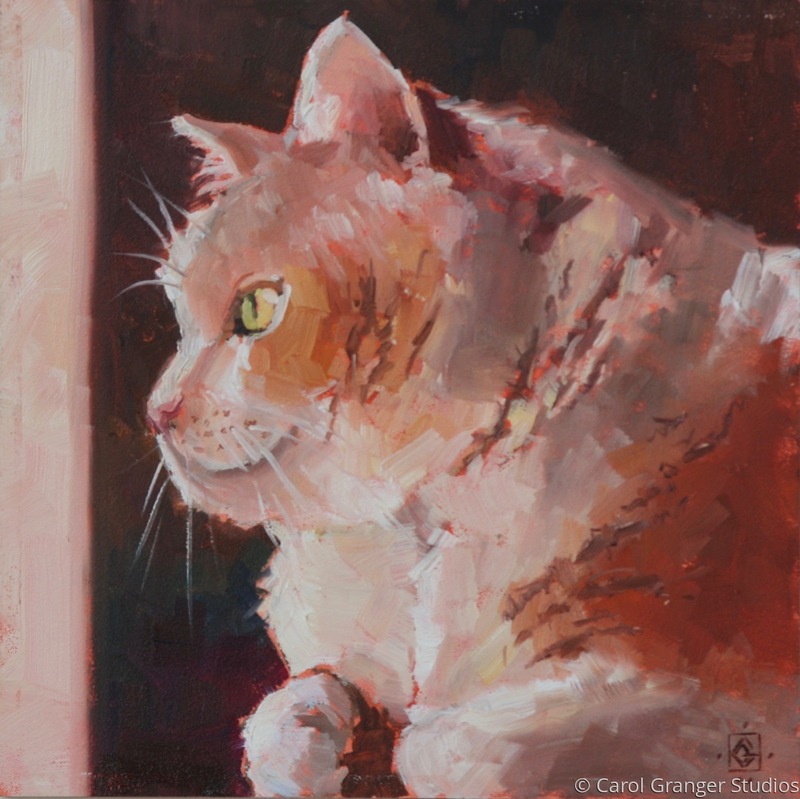 This inspiration for this painting comes from my daughter's cat, who I sometimes get to cat sit. When he comes to our house, he roams from room to room, telling everyone who'll listen his troubles. When he finally settles down, he peers out the window, daydreaming and sleeping the rest of the day away. This piece is painted on gessoboard that has been toned in red. 6" x 6" ENJOY! !